Heat oven to 350°F. Grease bottom and sides of 8-inch square pan with shortening. In large bowl, mix brown sugar and softened butter with spoon until light and fluffy. Beat in egg. Stir in flour, baking soda, 1 teaspoon cinnamon, the nutmeg and salt. Stir in apples. Spread batter in pan. Bake 25 to 35 minutes or until toothpick inserted in center comes out clean. Meanwhile, in 1-quart saucepan, heat sauce ingredients over medium heat, stirring frequently, until butter is melted and sauce is hot. Serve warm sauce over warm cake. You can bake the cake and make the sauce a day ahead and store them separately (refrigerate sauce). Warm the sauce in a saucepan over low heat, and heat individual pieces of cake uncovered in the microwave on High for 25 to 35 seconds or until warm. 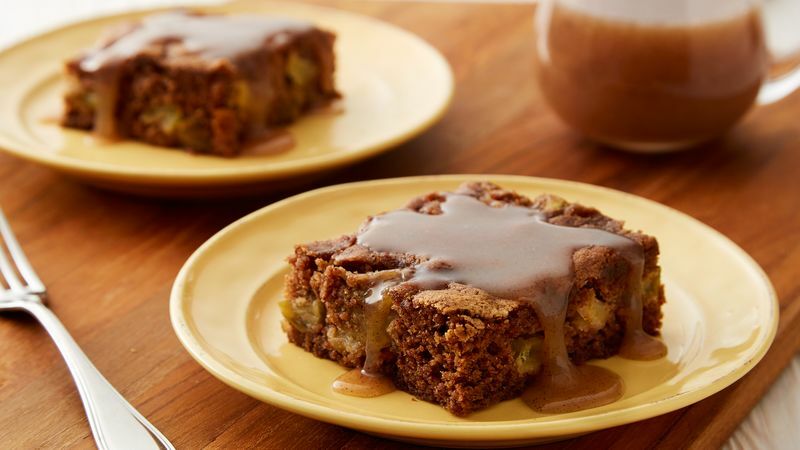 Braeburn, Cortland, Granny Smith or Rome apples are all good choices for this pudding cake.